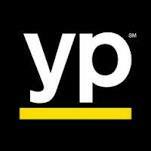 Looking For A Quality Home Remodeling Contractor In Media PA? Trust Your Project To Tri-County, And Get The Home You’ve Always Dreamed Of! Why entrust your Media PA home remodeling contractor project into the hands of some faceless corporate big-city builder? Instead, why not opt for a general contracting service that is build on rural southeast PA values – one that’s never too busy to answer customer concerns and hear feedback? With Tri-County General Contracting, this has been the experience of countless satisfied customers over the more than three decades that we’ve been in business. As the Northeast home construction and remodeling industry has grown, Tri-County has grown along with it. But we’ve always turned down chances to get too big, mostly because it’s our rural PA, family-friendly business environment that has set us apart from other Southeast PA builders. At Tri-County, prospective clients can expect face-to-face interaction with the contractors working on their homes, with plenty of opportunities to voice concerns, ask questions and get steps of the remodeling process explained to them in easy-to-understand language. A quick perusing of the testimonials on our website will give a clear idea of the sort of customer-focused Media PA home remodeling contractor service we offer here at Tri-County. Serving Delaware, Chester and Montgomery Counties in Southeast PA, Tri-County knows what it takes to get a Northeast home remodel done right the first time. After all, our team of contractors are rural PA homeowners themselves, and they will treat your home like it is their own while getting you the exact remodel you want. We run our remodeling jobs on tight schedules, ensuring that homeowners have a clear idea of how long their home will be under construction. 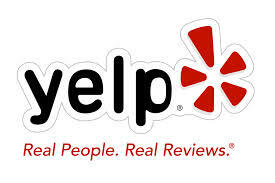 Company owner Tom Thornton will regularly check in with customers throughout every step of the project. Through our business model, we achieve big city results while maintaining a friendly, customer-based contracting service with a small-town southeast PA feel. So whether you are a Media PA homeowner with a ranch house a few streets down from Media Youth Center that needs an extra bedroom, or have a rental property near the Hampton Inn & Suites that could use a kitchen update, or own a townhouse down the block from Glen Providence Park in need of a full renovation, Tom Thornton and his team of remodeling pros are ready to build you the home of your dreams. So why wait? Give Tom and his team at Tri-County General Contracting a call today and get the ball rolling on your home’s next remodel. 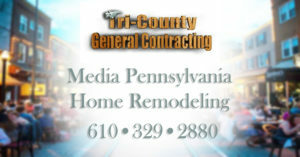 Have More Questions About Tri-County’s Home Remodeling Contracting Services Offered in Media PA?